American corvettes and Soviet-era Volgas have been cruising the streets of the Russian capital - instead of the modern-day models which usually rule the roads - in an annual vintage automobile event. ­Hundreds of people gathered in central Moscow on Sunday to see the luxurious retro car rally, while proud owners of classic cars were showing off their vintage wheels before taking part in the rally. For some of them, true vintage cars addicts, the magnificent machines are not just a means of transport, but a way of life. Igor, owner of a 1969 Chevrolet Cameo, says Muscovites are not really used to retro cars, so they always attract a lot of attention. “Once you get on the streets, you get hundreds and hundreds of people looking, taking pictures. So if you want to be a superstar, this is the car you need to get for Moscow,” said Igor. 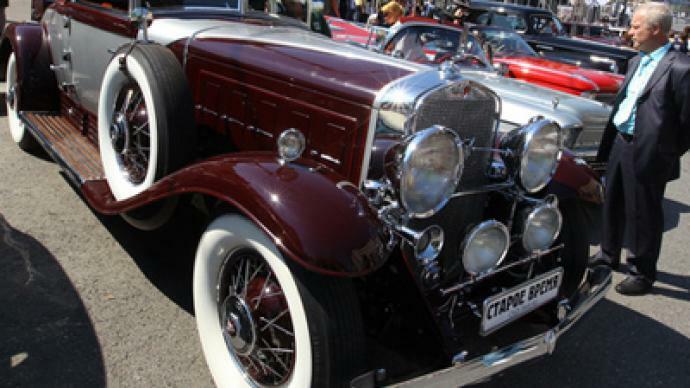 Vintage cars are beautiful pieces of art and history, but driving them is quite a challenge. However, the rally is not about who comes first, but who has the rarest vintage car, the most expensive tuning – and whose looks can match those of their car.